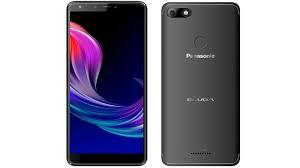 One for the lower budget segment of the smartphone market and packing a big battery from Panasonic. The Panasonic Eluga Ray 600 also packs its in-house A. I. Airbo Hub for a more coordinated in-house experience. Suitable for the average user who is not too minded on camera or other specs and obviously at a budget. On the outside, the smartphone looks good for a budget smartphone, no notch just a regular nice design. It is quite impressive the simplicity in the build of the smartphone while still.maintaining compelling aesthetical lustre. It has a rear-facing camera at the left corner with the flash beside it and the speaker at bottom still on the back. At the front-side, there is just about enough bezels to make the smartphone look elegant in a traditional way though. Available colour options are Black, Blue and Gold with the black being the obvious subtle variant. The screen lights up in a budget fashion showing an LCD screen with just about the normal pixels on it. It takes advantage of the 2:1 aspect ratio as the smartphone comes with a 5.99-inch size. However, the budget statue only limits the Panasonic Eluga Ray 600 to an HD+ resolution. Underneath the whole elegant body still lies a battery with a capacity that leans toward the large end. You are assured of a 24 hour time with the 4, 000mAh battery inside. There is a likelihood of even getting your phone to last two days if you use it less intensively. There is the normal MicroUSB port and plus it leaves quick charge out of the equation. Keeping to singularity on both ends, the smartphone offers a simple set of nice looking cameras. In the case of selfies, you’ve got an 8MP front camera handling business. On the other hand, there is also a loner 13MP camera at the rear side with nice features to make okay pictures. For a reduced price you have to be willing to get a compromise on features on the smartphone, the SoC inclusive. That said, the smartphone has a MediaTek MT6737H coming with 3GB RAM and a Mali-720 GPU. As for the storage space, there is 32GB of that and a further increase to 128GB with a memory card. 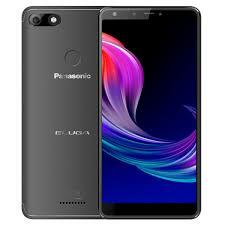 Conventionally, the Panasonic Eluga Ray 600 also comes with Android 8.1 Oreo with some add-ons of course. The smartphone sells for about 41, 000 Naira depending on the deal and your location.